Test Your Knowledge of Mitchell County and Win! MCHS is pleased to announce the third annual HISTORY BEE for young students of Mitchell County history! 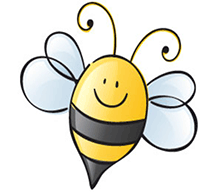 The Third Annual History Bee will be held Thursday, March 21, 2019 at 6:00 p.m. in the Mitchell County Historic Courthouse in Bakersville. Admission to the event will be $5 (individual) and $10 (for a family). Proceeds benefit the Historical Society and its mission to preserve the history and heritage of Mitchell County. There is no fee to enter the competition, but students must complete and submit a registration form by March 9, 2019 to be eligible to compete. 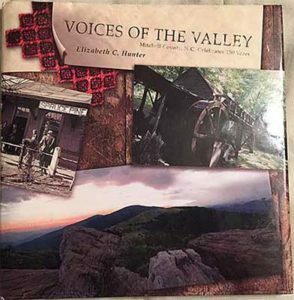 All questions in the Bee will be based on Elizabeth Hunter’s Voices of the Valley, published in 2011 on the 150th anniversary of the formation of Mitchell County. This volume is available in school and public libraries around Mitchell County or for purchase at the MCHS office in Bakersville or through our online store. Start studying now so you’ll be ready to answer questions! For more information, contact our office or ask your history teacher! And study up for pride and prizes! While there is no fee to compete, all contestants must submit a completed registration form by March 9, 2019. MCHS reserves the right to reject late registration forms. The History Bee will begin at 6:00 pm, with the younger division, Middle School contestants, competing first, and the older division, High School, going second. All questions will be based on Voices of the Valley by Elizabeth Hunter; each question is multiple choice, with 4 answer options. The competition will continue until one individual in each category is the last to answer a question correctly; that individual will have to answer another question correctly to become the winner. That person will win first place, with a prize of $500. while the first runner-up wins second place and a prize of $300, and the second runner up wins third place and a prize of $200. Ruling on the validity of contestant answers by a panel of 3 judges is final. Any contestant who receives any type of assistance during the History Bee will be disqualified. Questions and the 4 potential answers will be read for contestants; the questions will also be projected for both the contestants and audience. Contestants may request, only one time per question, that a question be repeated, and they will have 10 seconds from the end of the question to begin their answer. Contestants have a maximum time of 10 seconds to begin their answer to avoid a wrong-answer ruling; responses must include both the correct answer and its letter. Entries should be submitted (or postmarked) by March 9, 2019. MCHS reserves the right to reject applications received after March 9. Need Assistance with the Registration Form? If you have problems accessing the form, please fill out our Contact Form online and someone will be in touch with to help. Feel free to contact us or call the MCHS at (828) 688-4371 or (828) 385-0564. Take a look back at the first History Bee, held April 6, 2017.